Bubbling geysers, luminous coloured lakes, active volcanoes, rolling hills and beautiful beaches; New Zealand’s North Island is an incredibly diverse and interesting place to visit. 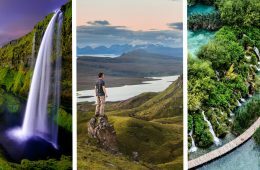 Learn about Maori culture and geothermal activity, trek the infamous Tongariro crossing and then spend time relaxing in the beautiful Bay of Islands. 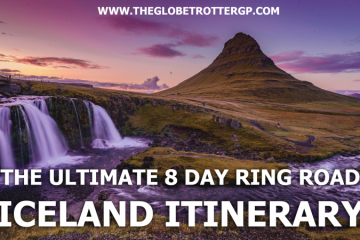 This New Zealand North Island 7 day itinerary will be fast paced and if you have additional days then you can take your time or visit additional places. 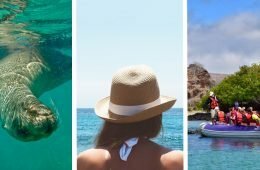 I have also included a 10 day North Island Itinerary alternative for those of you who do have more time to explore! 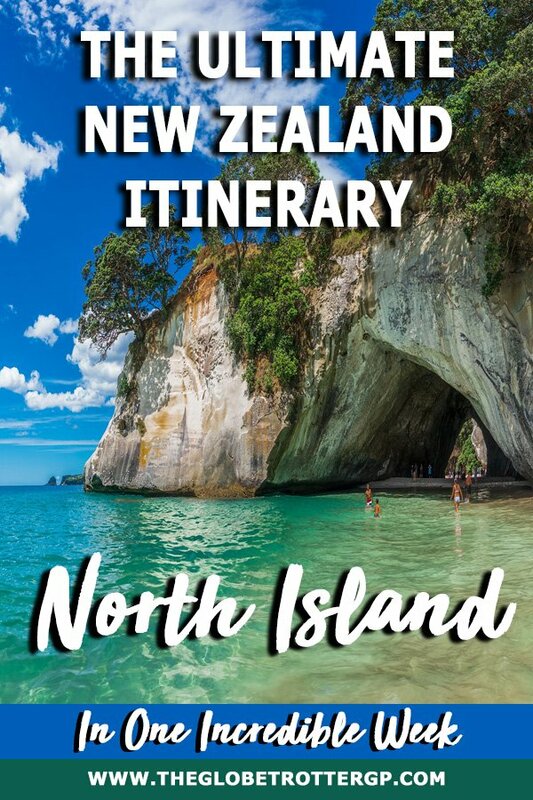 But if you are short of time and want to see New Zealand’s North Islands highlights in a hurry, then this 7 day North Island itinerary is for you! 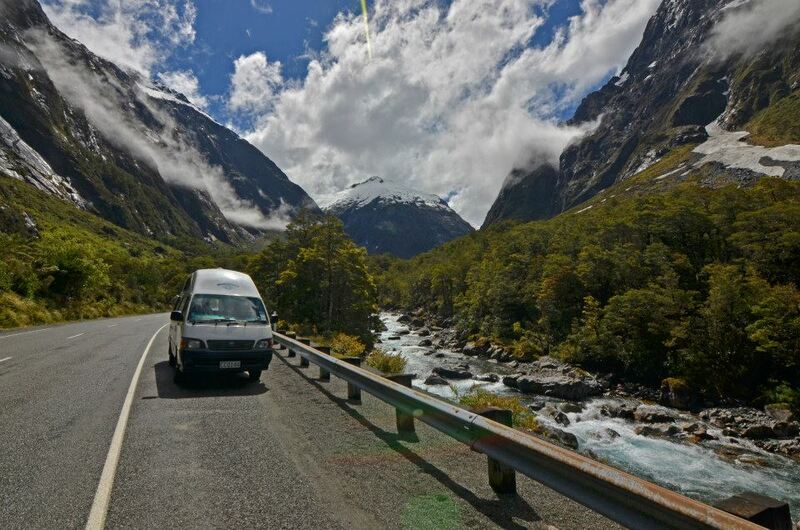 The best way to explore New Zealand is to take a road trip. 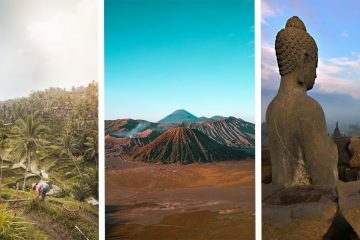 There are far too many beautiful locations to restrict yourself to exploring just one. 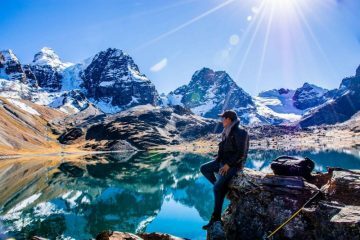 So whether you hop on a group tour, a hop-on-hop-off bus or you hire a car or campervan, you are bound to have an amazing New Zealand road trip to remember! 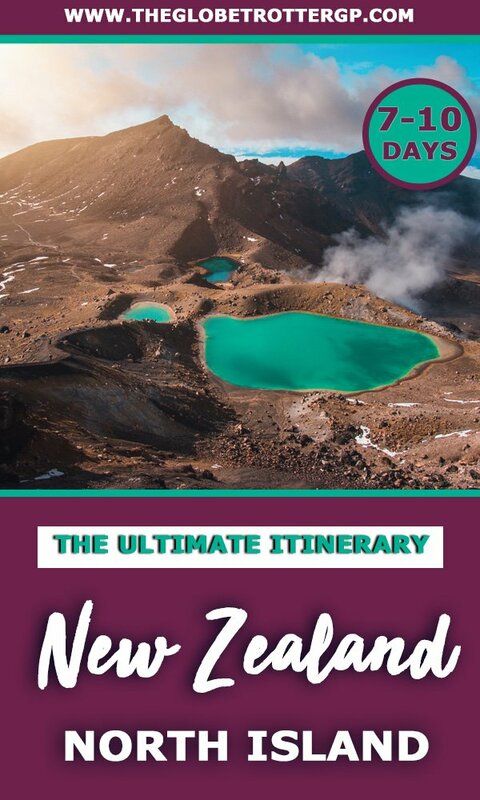 1 Should you follow this 7 Day New Zealand North Island Itinerary? 3 When is the Best Time to Travel to New Zealand’s North Island? 5.1 Day 1 Auckland to Tongariro via Raglan and Waitomo Caves. Should you follow this 7 Day New Zealand North Island Itinerary? 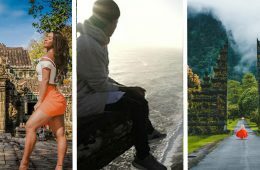 This 7 day North Island itinerary is not for everyone but I believe it would be a brilliant road trip for anyone who doesn’t mind a fairly fast-paced trip and wants to see a lot in a short time. Is it right for you? No, if you want to indulge in daily lie-in’s, don’t like driving or you want to try out New Zealand’s nightlife. Yes, if you want to sample a lot in a short time, want to focus on the landscapes not the cities, you don’t mind early mornings and are not averse to driving. 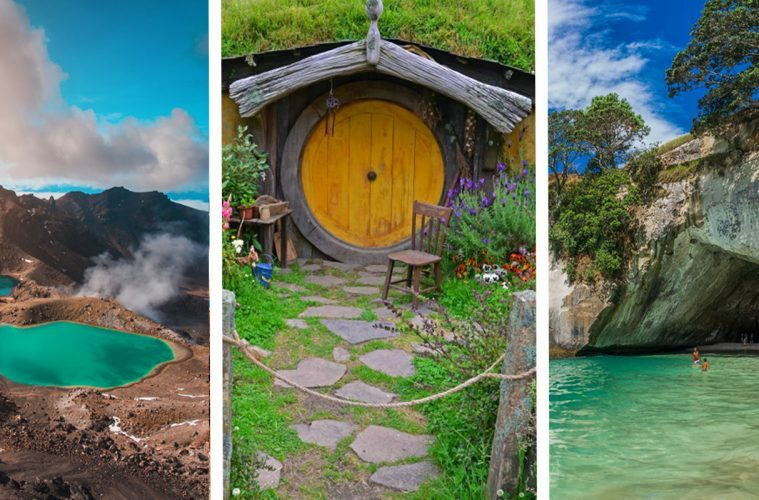 This New Zealand North Island itinerary does not by any means cover all the highlights North Island has to offer in just 7 days. 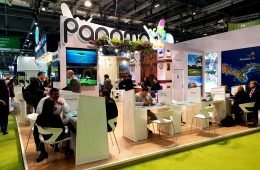 However, in my opinion, it covers most of the best or most unusual places and will give you a taste for New Zealand and hopefully have you booking a return trip to explore more! If you have a few extra days then I highly recommend following the 10 days New Zealand North Island Itinerary, also included. When is the Best Time to Travel to New Zealand’s North Island? In general the weather is milder and more pleasant in New Zealand’s north island than in the South. To make the most of the North island’s beautiful beaches, I’d recommend travelling in the summer when the weather is likely to be warm and sunny. Even though New Zealand appears close to Australia on the map, do not expect scorching hot summers in New Zealand. The climate is not dissimilar to that of the UK’s! The best way to see New Zealand is on a road trip like in this New Zealand North Island itinerary. 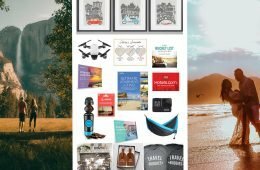 There are different ways to take a road trip in New Zealand depending on your travel style and budget. 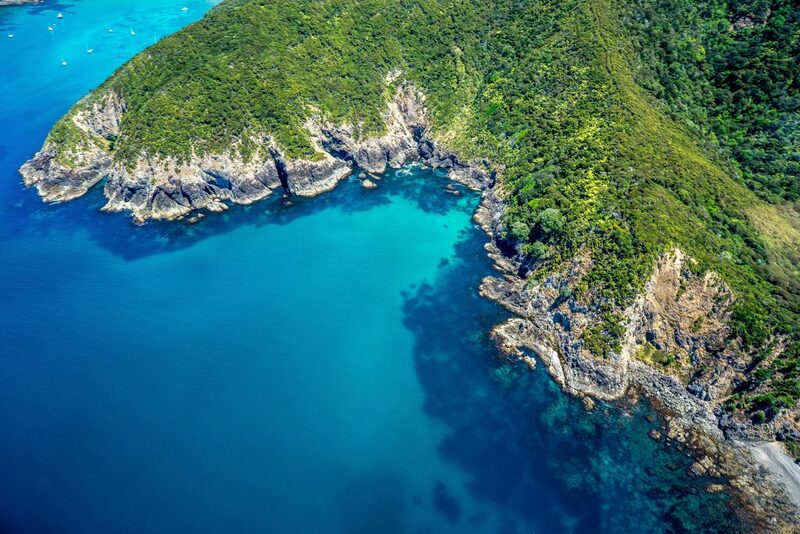 If you’re looking to keep your New Zealand North island itinerary as budget as possible, then this may be the option for you. 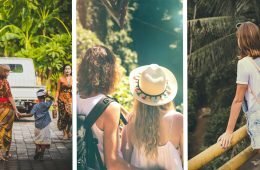 With hop on hop off passes, for example, the Kiwi Experience, you choose how long you want to stay at each location before rejoining the bus tour. It’s a sociable way to travel especially for solo travellers in New Zealand however it’s also not as flexible as you are restricted by the specific bus stops. 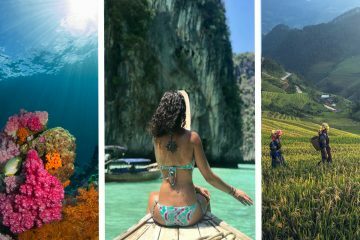 Companies like G Adventures and Intrepid Travel are a great way to travel if you are a solo traveller. With small groups of 10-15 like-minded people, all your transport and accommodation is organised. 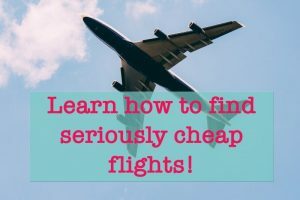 Sometimes, it actually works out cheaper to travel on a group tour if you are on your own. Usually some meals and activities are included but there’s also plenty of free time to do your own thing. 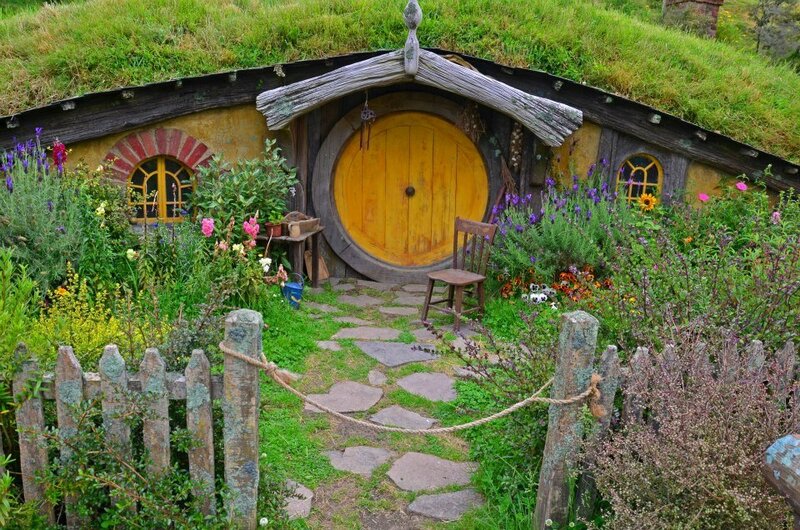 G Adventures runs a few similar trips to this New Zealand North island itinerary. For example this 8 day North Island multisport trip or this 10 day trip which includes the Bay of Islands. I suggest staying alternate nights at campsites with facilities and DOC sites so you can take a shower but save money on the nights where you camp for free or cheap at DOC campsites. It’s best to shop around for campervan hire to get a good deal. You’ll also need to decide what level of comfort is acceptable to you as campervans come in all shapes and sizes from shoestring to luxury. Wicked Campers are a great budget options but they’re not very spacious so you’ll be cooking outside with the car boot door as your rain cover. The campervan we chose was slightly more spacious with a built-in kitchen and a seating area turned into a bed at night but there were no toilet facilities so we always chose campsites accordingly. You could splash out on a fancy motorhome with a shower and toilet inside if you can afford it. 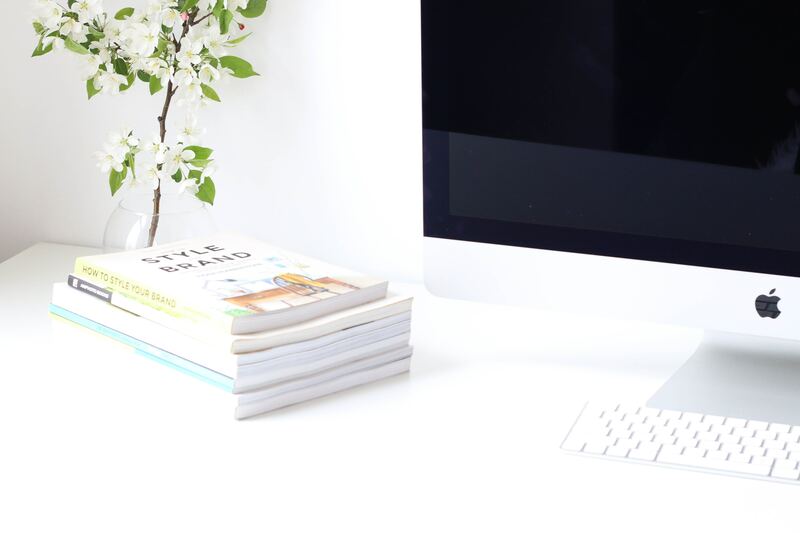 This does also mean you can save a little by staying mostly at budget or free DOC sites. Hiring a car still allows you to be flexible and may suit those that who prefer some creature comforts! 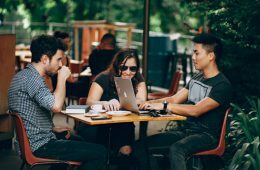 If you are happy to stay in fairly budget hostels, it may also work out cheaper. Remember, you may need to book ahead of time if you are travelling in peak season. Day 1 Auckland to Tongariro via Raglan and Waitomo Caves. Drive Time 3hr 20 to Waitomo a further 2 hours to Tongariro. Chances are you’ll be flying into Auckland as it’s New Zealand’s biggest airport. 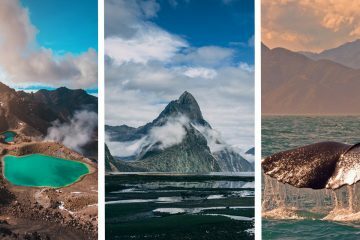 Whilst Auckland is a nice city, you don’t really come to New Zealand for the cities so unless you have extra time, I’d head straight out to see New Zealand’s great outdoors instead! Heading South of Auckland, I’d suggest stopping for some breakfast and a stroll along the beach at Raglan. This cute little town is a famous surf spot in New Zealand and has a bit of a hippy feel to it. You should then reach Waitomo Caves by midday. Choose between taking a relaxing boat trip through the caves to spot the luminescent glow worms or you could take a more adventurous black water rafting trip or even the caving tour which includes ziplining and abseiling for the ultimate adventure. 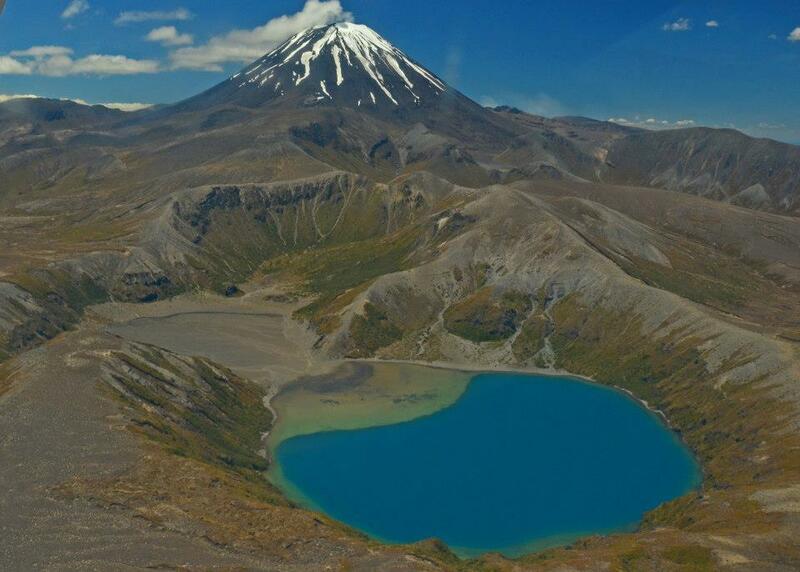 You have a choice here either to stay near Waitomo Caves or push on to your next destination, Tongariro National Park. I would advise you try and push on as day 2 is a big one with an early start! 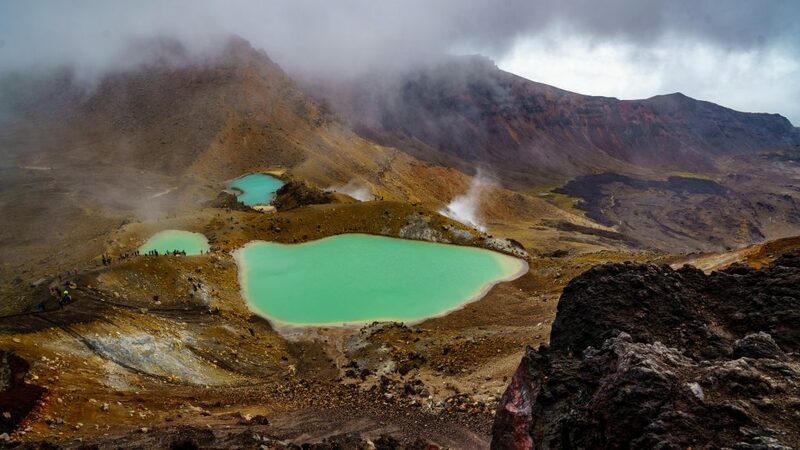 Today is your chance to traverse one of the world’s most renowned one day hikes, the Tongariro Crossing. Set in New Zealand’s oldest national park, the 3 volcanic peaks of Ngauruhoe, Tongariro and Ruapehu are part of a world heritage site. This 19.4km trek which will take you past active volcanoes and bright aqua crater lakes will take around 6-8 hours. I suggest you get up early to make the most of it. The car park only allows parking for 4 hours so you will need to arrange a shuttle bus. 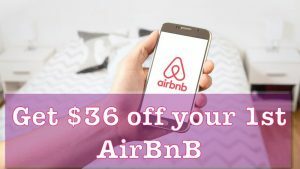 To arrange a shuttle transfer to and from your hotel, click here. Sadly, when I was there the path was closed due to a recent eruption. If this happens to you, I would recommend taking a micro flight. Seeing it from the air was just spectacular – we could still see smoke billowing from the crater! If you have the time and the funds, I would recommend trying to see it both by foot and by air as you’ll get completely different perspectives. Today will no doubt be a highlight of your New Zealand North Island itinerary. 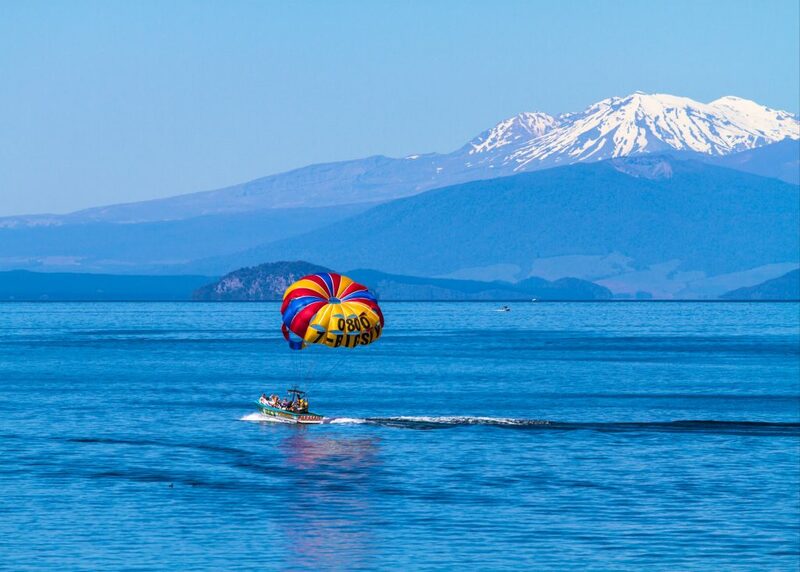 Lake Taupo covering 616 square kilometres, is New Zealand’s largest lake and attracts visitors for its hiking, boating and river rafting opportunities. It’s a popular place for adrenaline activities like Sky diving and Bungy jumping! For a more leisurely day out, you could take a sailing trip out to see some Maori rock carvings. There’s also the opportunity to kayak there instead. For the ultimate relaxation day, head to DeBretts Spa resort. 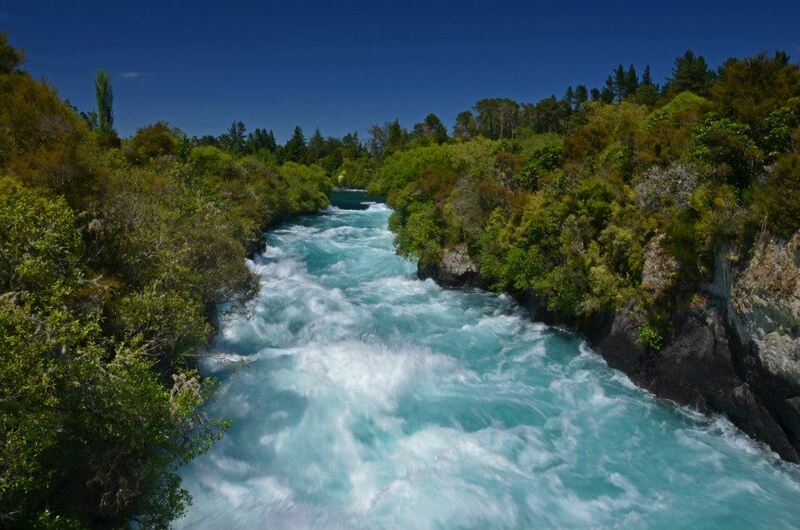 Huka Falls, just a 1-hour hike from Taupo, is definitely worth a visit. What it lacks in height, it makes up for in power. This turquoise waterfall on the River Waikato has 22000 litres of water passing through every second! You can hike from Taupo town or drive and park in the visitor’s car park. Take a gentle stroll along the river and admire the force of the falls from the pedestrian bridge. 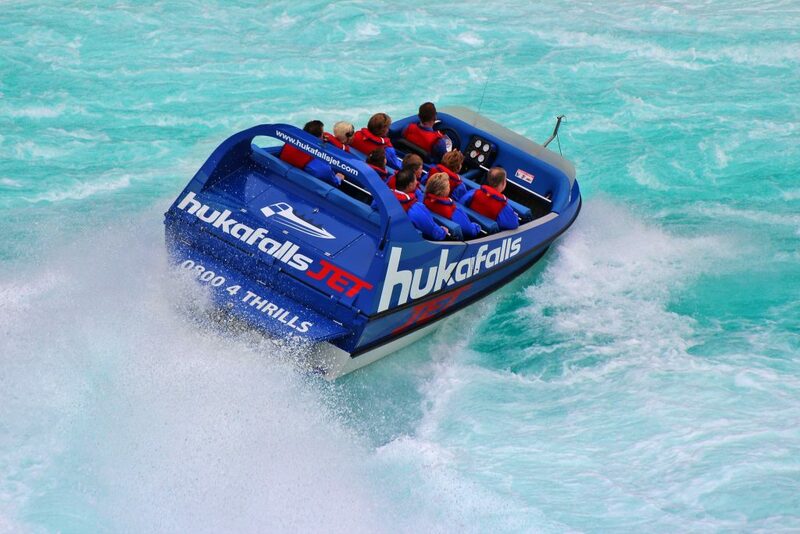 If you want to get even closer to the falls, why not take a Jet Boat ride from Taupo? This will be a busy day so I recommend getting up early! 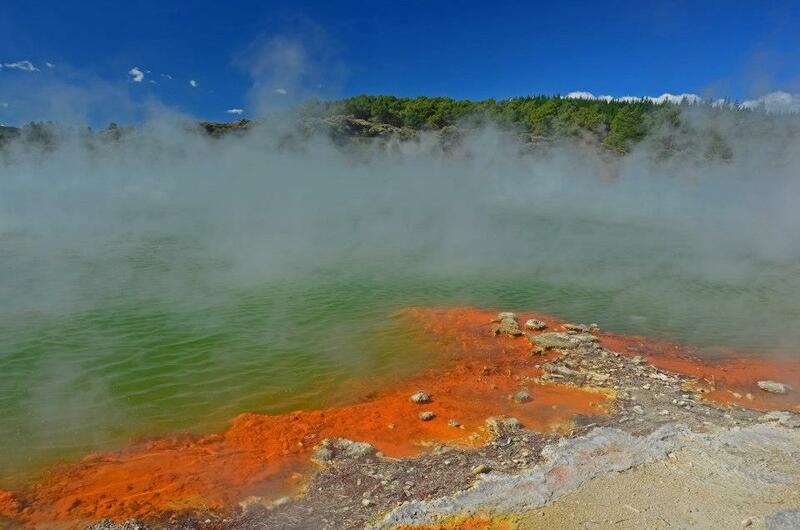 Your first stop is Wai-O-Tapu Geothermal Park, New Zealand’s most colourful geothermal area showcasing volcanic craters with bubbling mud, steaming vents and bright coloured lakes in surreal colours. It will take between 45 and 90 minutes to walk around the park but you should allow longer if you are visiting Lady Knox Geyser which erupts at 10.15 every morning. I recommend getting there for about 9.30 to get your ticket and get a good spot to see this impressive eruption! 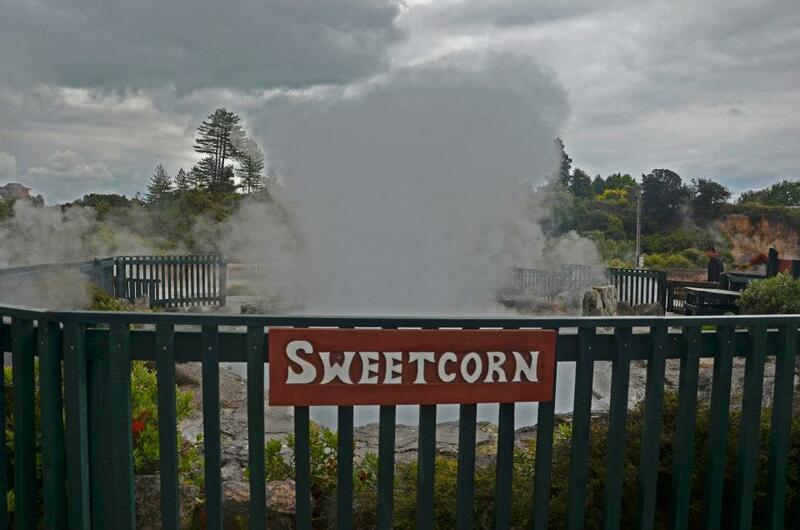 Next stop is Rotorua where you can spend the afternoon. 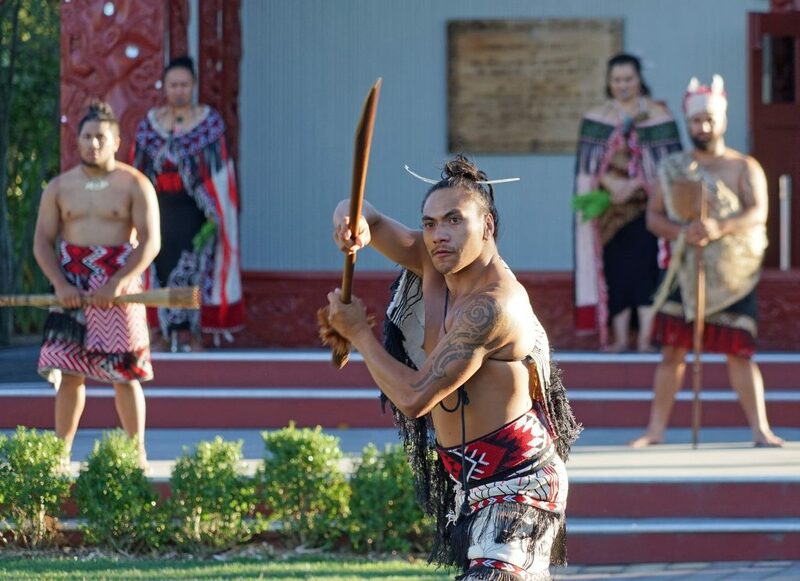 The main highlight here is Whakarewarewa Maori living village, a showcase of culture and heritage of the Tūhourangi Ngāti Wāhiao people. The centre is owned and operated by those who live there. Sample their traditional Maori hangi food cooked in the steam from the geothermal water or even better, try the delicious hangi pie. 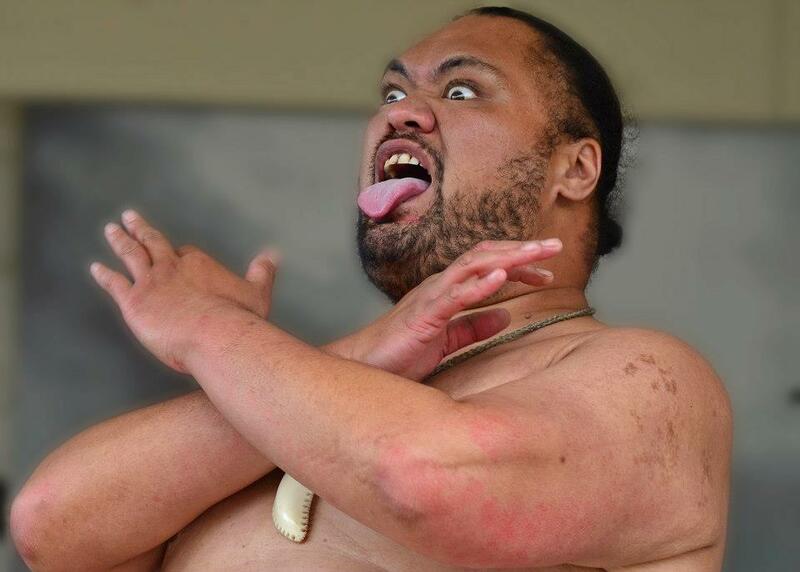 Attend a cultural performance to see and hear about Maori songs, games, dance and see the world famous Haka being performed. You will want to allocate 2-3 hours for visiting Whakarewarewa village. 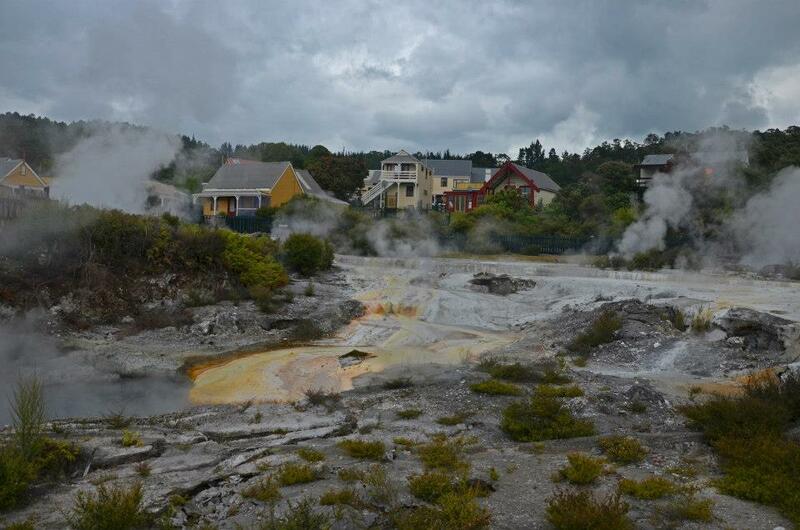 If you have time left over, you may wish to visit Rotorua Museum or take a relaxing mud bath at Hells Gate. Please note Rotorua museum is closed for stengthening against potential earthquakes. Please check before you visit if it has opened yet. The government gardens remain open for you to enjoy. In the evening, you could also consider visiting Redwoods TreeWalk which is lit up at night with beautiful coloured lights and lanterns. 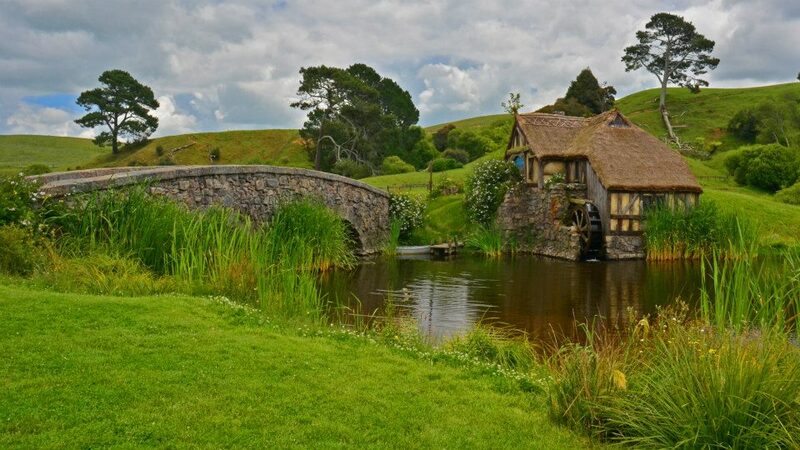 If you are a fan of the Lord of The Rings and Hobbit films, then you are going to love this day trip to visit the Hobbiton movie set. There are 5 tours a day (you can only visit on a tour) and you should book early as these sell out fast. You can book yours here. 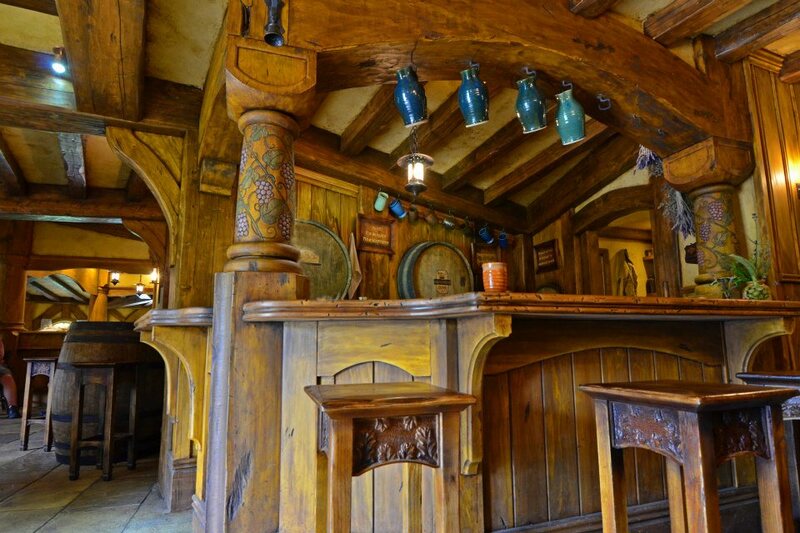 The tour culminates in a trip to the charming Green Dragon Pub where you can order a complimentary hobbit mug of cider or ginger beer. 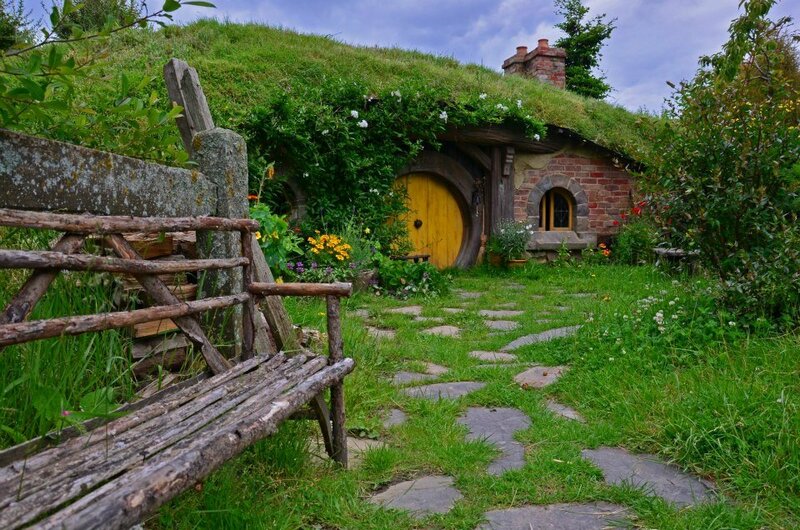 Don’t forget to stop for a ‘second breakfast’ at The Shires Rest after your tour of Hobbiton! Since you’ll have some free time this afternoon, I recommend driving to the Coromandel Peninsula so that you can have a full day of relaxation the next day, enjoying this beautiful part of New Zealand’s coastline. The Coromandel Peninsula is famous for its beautiful beaches but also has rainforest walks, waterfalls and hot springs to offer. You could easily spend several days exploring this pretty part of New Zealand but I recommend you stick to the highlights since you just have one day to explore. The three biggest beach highlights in this region are Cathedral Cove, Hot Water Beach and New Chums Beach. You have a couple of options here, depending on how much driving you are happy to do. A road trip visiting all three of these locations will be a 2 hr 45 minute round trip which will comfortably allow you a few hours at each place providing you get an early start. In this case, you should base yourself at Coromandel town. 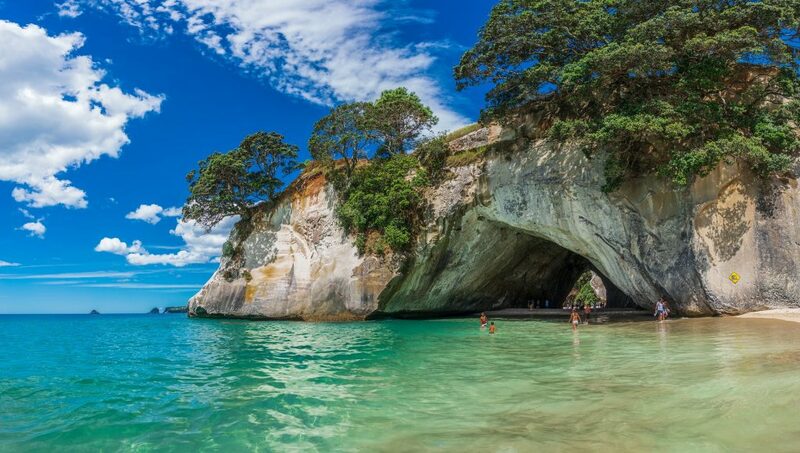 However, if you want a chilled out day, you could focus just on Cathedral Cove and Hot Water Beach, which are close to each other, and stay more locally. For example at Tatahi Backpackers or at Tatahi Lodge Beach Resort. 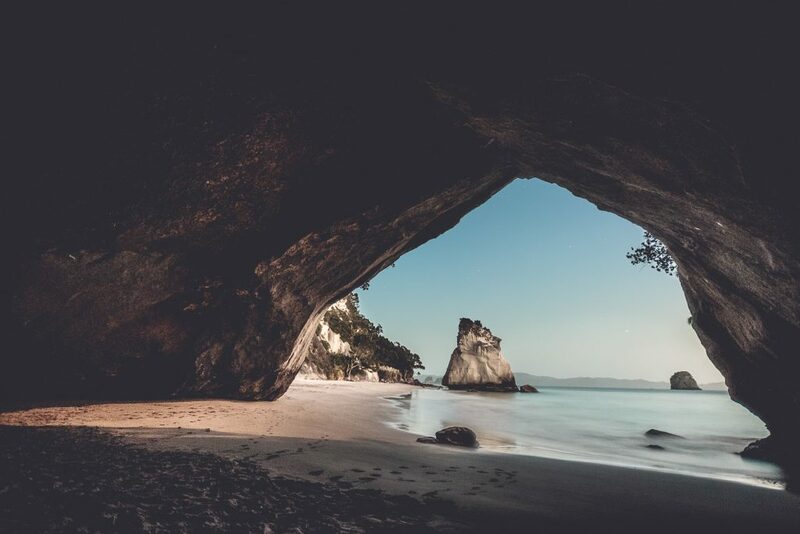 Another option would be to base yourself in Coromandel town but skip the driving for a day and take a tour to Cathedral Cove and Hot Water Beach. You then have the option to visit New Chums early the next day before the crowds arrive and before you head for Auckland. Cathedral Cove A stunning beach with white sand, turquoise water and white rock formations which was featured in the Chronicles of Narnia film. It’s a little slice of New Zealand paradise! Hot Water Beach Pockets of hot water are accessible during low tide. Dig yourself a trench and enjoy a natural warm bath. There are glow worms along the walkway to the beach so if you go for sunset, you might get to see some glowing in the dark on the way back. 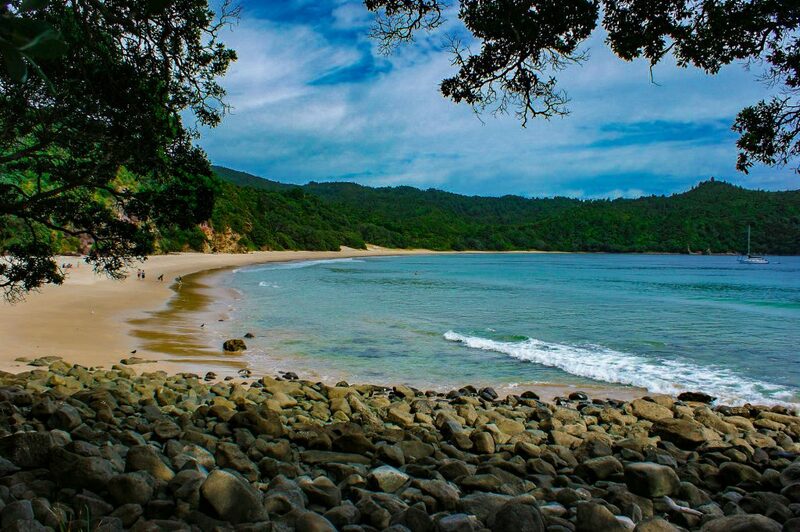 New Chums Beach Voted as one of New Zealand’s top 10 beautiful beaches. It’s a protected beach with no cafes, shops hotels or campsites so you may want to pack a picnic. It’s time to head back to where this new Zealand North Island Itinerary began, Auckland. 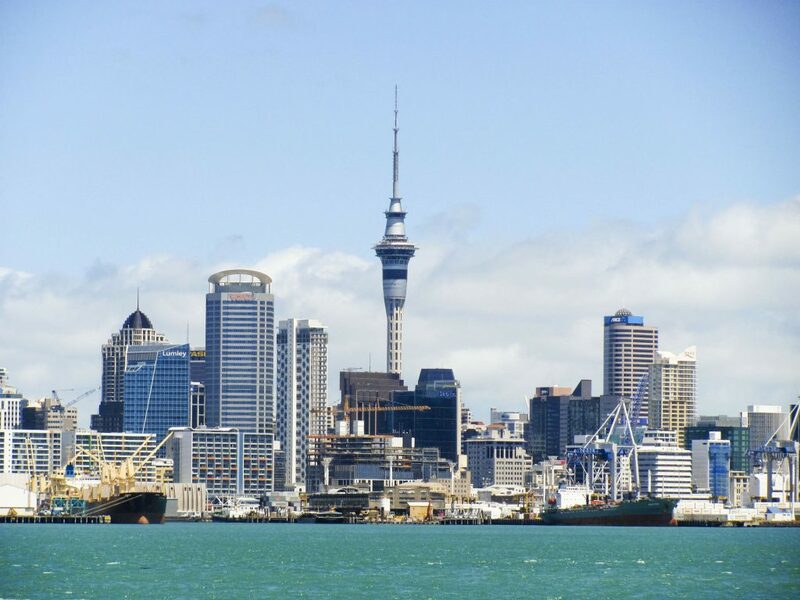 You could opt to spend the day exploring this cosmopolitan city starting with a city tour stopping by Auckland museum (complete with cultural performance) followed by a trip up the Sky Tower for dinner with a 360-degree view. If you’re an adrenaline junkie who’s still not done with adventure activities, there are plenty on offer in Auckland too. You could take a tandem skydive, take a sky jump off the sky tower, do a harbour bridge climb or bungee jump off the bridge. 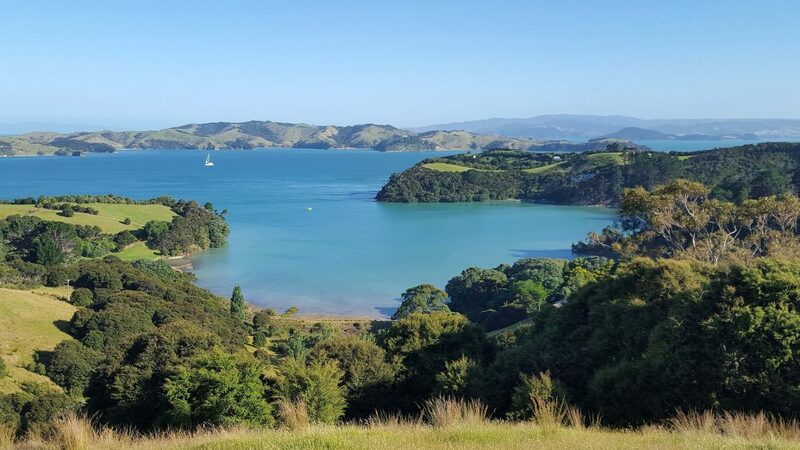 Alternatively, you could hop on a ferry and spend the day exploring Waiheke island with its rolling hills, forests, pretty bays and wineries. Perhaps take a food and wine tour? 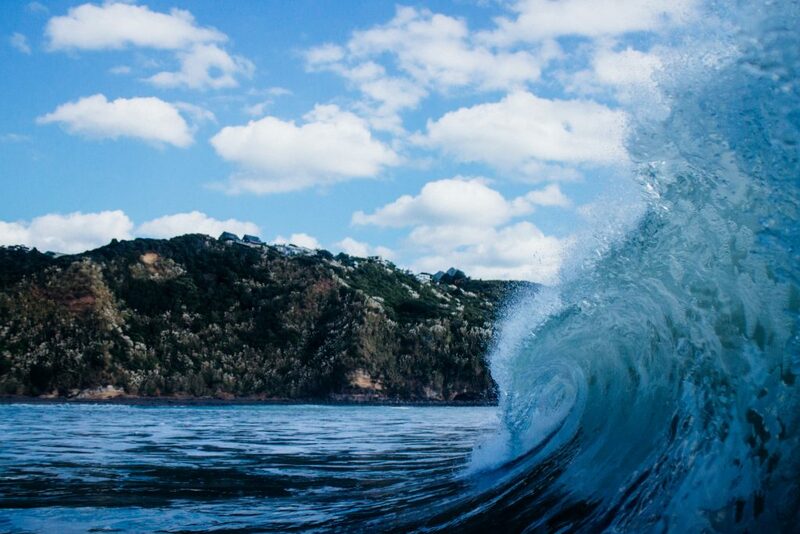 The Bay of Islands is renowned for its beauty. On mainland, you’ll find subtropical rainforest, rivers and coastal paths. 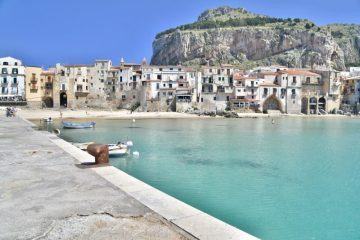 But the real attraction is the 144 subtropical islands with their pretty coves and unspoilt beaches. 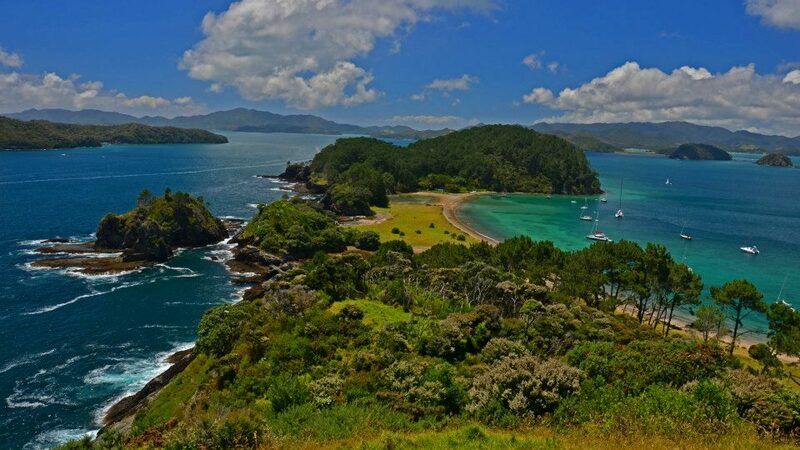 The Bay of Islands is best explored by taking an island hopping sailing trip. 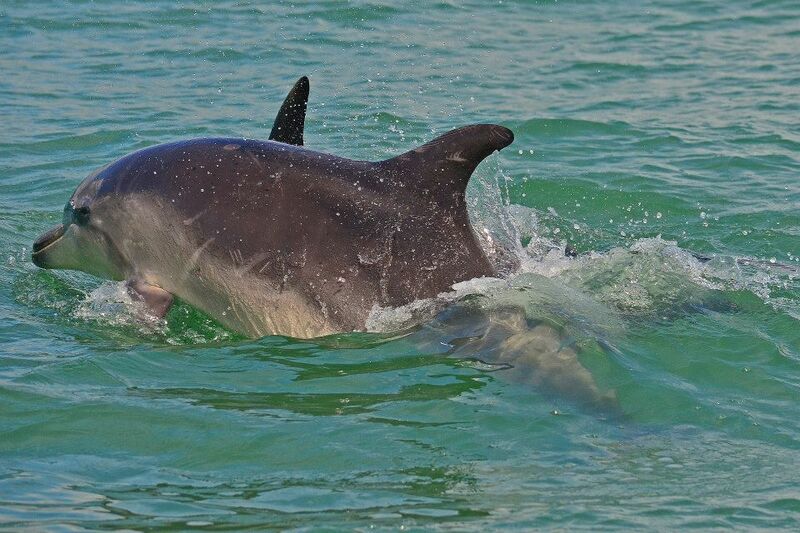 I would also recommend a wild dolphin swimming experience. You could also consider taking a trip to the far North to visit Cape Regina and the stunning 90-mile beach where you can also try sand boarding on the many dunes. Now, of course, its New Zealand so there’s always adventure activities on offer. Why not give parasailing a whirl? Or for something more relaxing, take a sunset cruise. Sadly, it’s time to end your idilyic stay near the Bay of Islands and return to Auckland where your trips ends. If you set off in the morning, you may have a few hours to explore the city depending on when your flight departs. 1. Decent insurance. This is so important when you are visiting New Zealand. 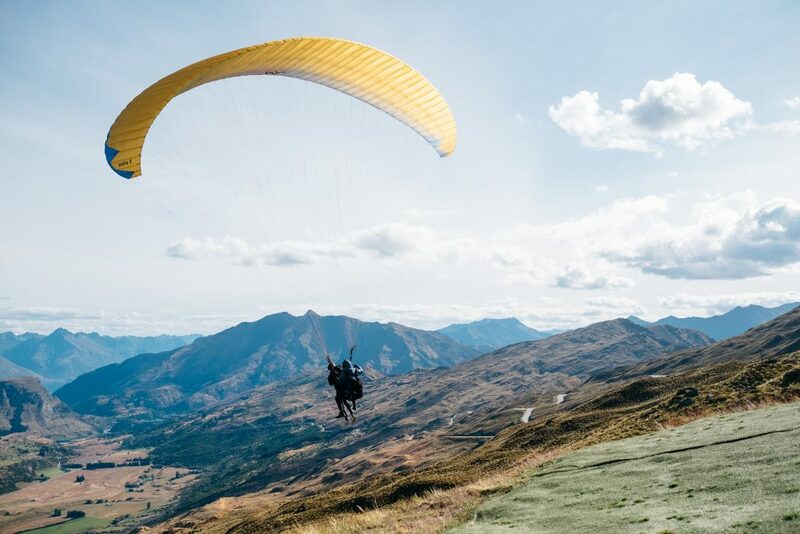 You need to make sure it will cover you for adventure activities that New Zealand has on offer like kayaking, bungee jumping, sky diving & cycling. 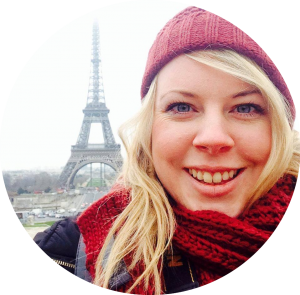 I recommend Nomads for adventure travel insurance. 2. A good lightweight raincoat, Heads up, it rains a lot in New Zealand! Though perhaps not quite as much on the North Island when compared to the South. I have a Patagonia jacket which has been brilliant the past 6 years! 3. Decent hiking boots which can keep your feet both comfy and dry. I always use Salomon boots and recommend them for anyone who does a lot of hiking especially if you have flat feet as they have orthotics built in – SO comfy! I’ve had various cheaper boots in the past but once I invested in these, I never looked back! I’ve not had a single blister yet..! 3. DEET mosquito repellant. I was surprised by how many mozzies there were here. So definitely bring DEET. Don’t scrimp on your mozzie repellant – use the good stuff. 7. A Quick Dry Antibacterial Towel which will dry quickly so you can use it on the go for the various water activities on offer. I love these colourful ones from Dock & Bay. 8. A Head torch. If you are planning to stay at any campsites, don’t forget a head torch. You’ll be glad of this at night when you need a trip to the toilet! New Zealand North Island or South Island? 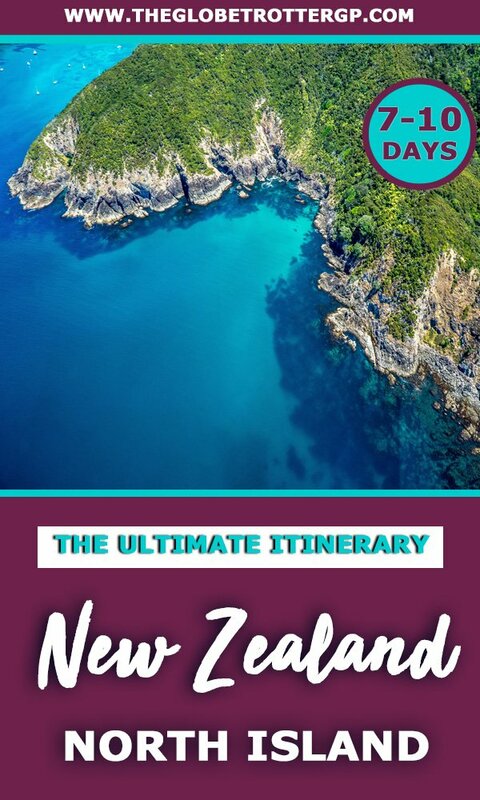 Hopefully, this New Zealand North Island Itinerary for 7 days has helped to give you some inspiration for your trip to New Zealand. 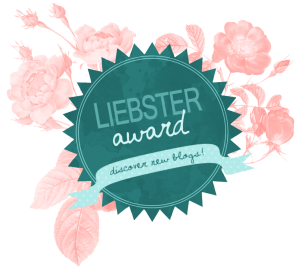 You’re going to have such an amazing time! If you have any questions, feel free to pop them in the comments section and I’ll do my best to answer them! If you enjoyed this article, you can share it with your family and friends using the social icons and pins below!